Is it good news for everyone? BT used to like to tell us that "it's good to talk", but this morning it probably wasn't the happiest of phone calls with the telecoms regulator Ofcom, which has told BT that it needs to seriously work on its relationship with its Openreach subsidiary. While the regulator hasn't said the two should completely break up, it is basically telling BT "it's not me, it's you", and has recommended steps that would see BT and Openreach consciously uncouple further than ever before. As when any relationship goes sour, there's one big question: What does that mean for the kids? Or in this case, the millions of people in Britain who rely on BT and Openreach to provide their broadband? Read on to find out. Umm, what actually is Openreach? 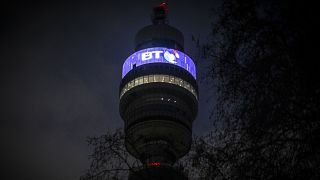 BT is a slightly weird company, owing to its unique history. For most of the 20th century, it was owned by the government and was actually part of the Post Office, but in 1984 it was privatised by the Thatcher government. This meant that BT had a complete monopoly on all of the infrastructure across the country that used to provide our phone lines and today provides our broadband. Fast-forward to 2016 and this is still mostly the case. It means that whether you decide to get your broadband from Sky, TalkTalk, or BT itself (or one of the many other providers), ultimately the data will be flowing through fibre-optic cables and copper wires that are owned and maintained by BT. It's why when you sign up for Sky, it still insists that you must have a BT compatible line. (The only major exception to this is Virgin Media, which has built its own entirely separate network - though other completely separate fibre companies are also growing). As you might imagine, this situation would theoretically put BT at an advantage. What would stop it from offering faster speeds to BT customers than Sky? It's for this reason that in 2005 Ofcom insisted that BT keep the Openreach division mostly separate from the rest of the company - and insisted that it must treat other ISP customers the same way that it treats BT consumer customers. This, incidentally, is why if you've ever had a maddening encounter with BT customer services that it sometimes feels that one part of BT isn't talking to the other - because in the case of Openreach it is literally restricted in how it can do so. Despite their relative separation, this hasn't kept BT's rivals happy. Last year Sky and TalkTalk called for Ofcom to intervene and spin-off Openreach into a completely separate company. So what has Ofcom told BT to do? The big news today is that Ofcom appears to partially agree with these concerns and has proposed a package of changes that will see Openreach further separated from the BT mothership. Although it will allow BT to continue to own Openreach, it wants the division to be a distinct entity within the company, with its own board and chairperson (albeit while still wholly owned by BT). It wants the new company to consult with customers (that's Sky and TalkTalk - not us consumers) when it makes big infrastructure investments, and it wants the new company to own its assets (the fibre network) and employ staff directly, rather than via other parts of BT, so there are no conflicting loyalties. It even wants Openreach to have a separate brand and logo, so that people don't automatically associate it with BT. The motivation behind these reforms is that it will hopefully make the market more competitive. This could mean ultimately, better and faster broadband service for customers, or lower prices. By bringing Openreach's customers into the decision making process, this could mean that better decisions are made about where on the network needs improving. And Openreach will have to work harder to succeed on its own terms, rather than simply act as an appendage to BT. Ofcom has also made a number of other demands which could increase competitiveness. For example, it is forcing Openreach to produce an online database detailing where its telegraph poles and underground tunnels are, so that other providers can more easily plug into BT's network. It could mean we start seeing more "Fibre to the Premises" broadband from different companies, as they can plug directly into the Openreach network, rather than rely on BT's existing copper wire network to do the last stretch between the telephone exchange and your house. This all goes in tandem with other new rules announced by Ofcom, such as automatic compensation when services fail, and new rules to make switching broadband provider less of a nightmare than it is now. If it's easier to switch, then all ISPs will have to work harder to keep you happy - which can only be good for consumers. So it could be good news. Ofcom could be the friend that everyone needs: Someone who will tell them the harsh truth, even if they don't want to hear it. If BT truly wants to improve its relationship, perhaps it needs to stop being so clingy with Openreach?